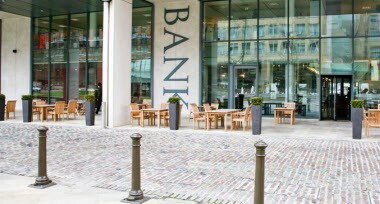 Situated within the cosmopolitan surroundings of Brindleyplace, Bank Birmingham is chic and sophisticated with the character of a lively continental brasserie. 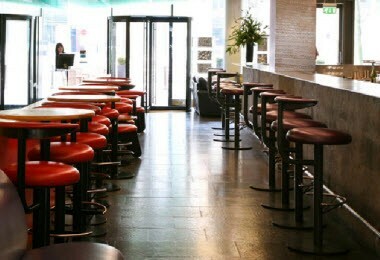 The dining area is spacious yet intimate with a relaxed, informal atmosphere. Elegant wine racks adorn the back wall, interspersed with views of the chefs in action in the open kitchen, whilst the front overlooks the beautiful 19th century canals. Perfect for a variety of business occasions or a private event, the two rooms can accommodate up to 50 guests in each with the option to be opened into one room able to seat 100. 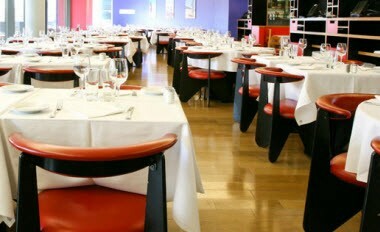 Alternatively, the rooms can be used for a standing reception for up to 150 guests. From corporate product launches to wedding receptions and parties, the stylish setting of Bank Birmingham is ideal for exclusive events.